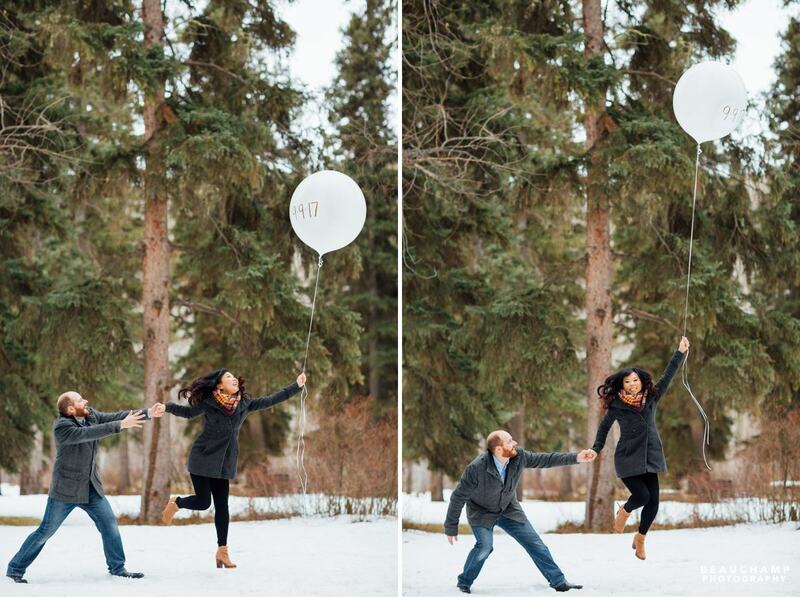 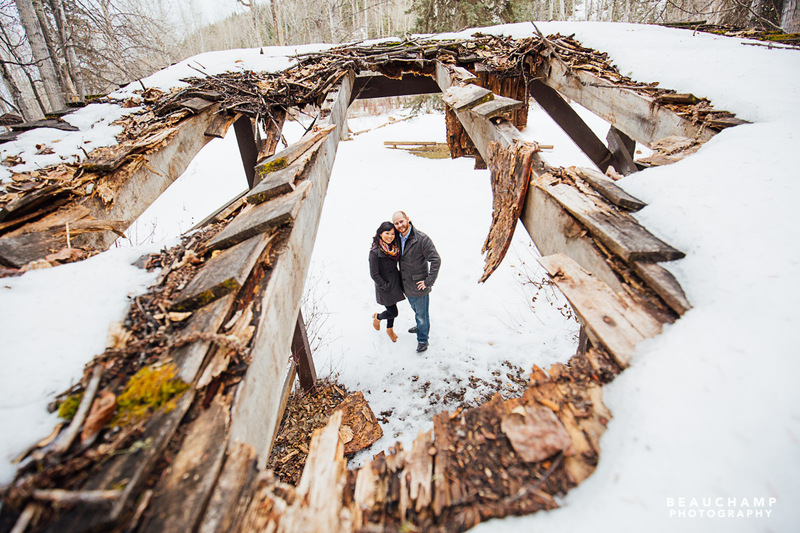 We first met Teresa three years ago, when she was a bridesmaid in a wedding we photographed in Beaverlodge. 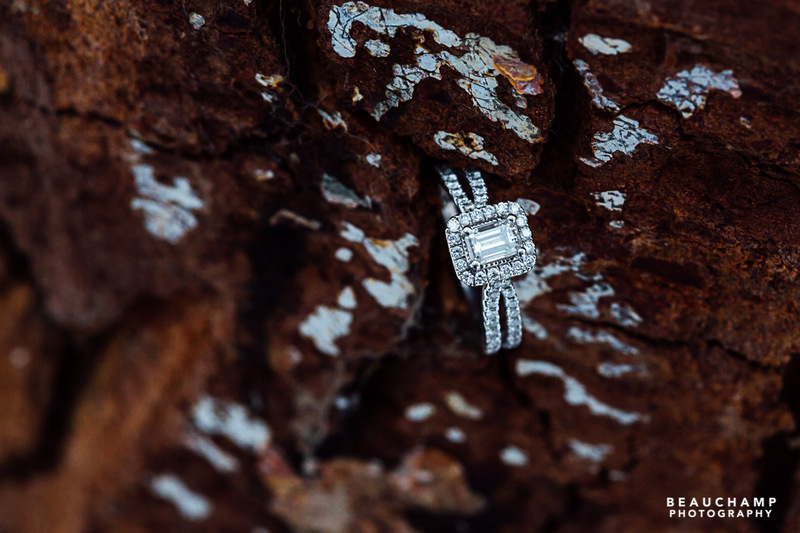 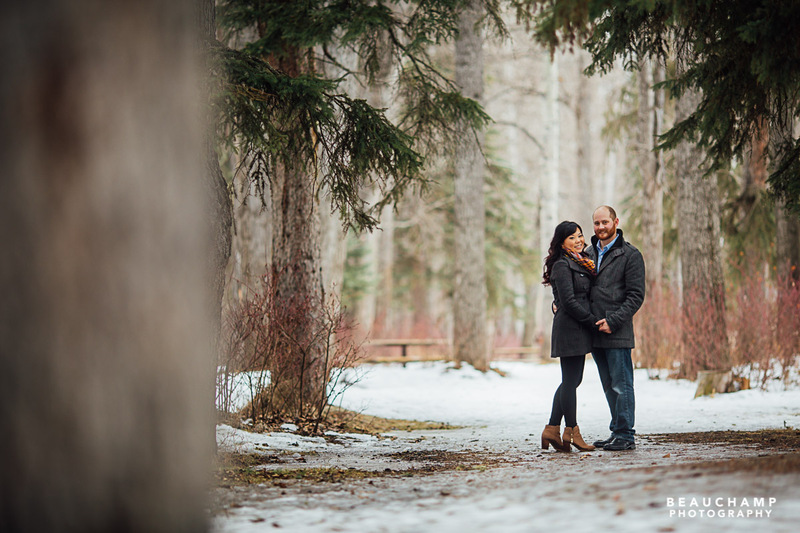 We were delighted and honoured when she approached us a couple months ago about photographing her wedding. 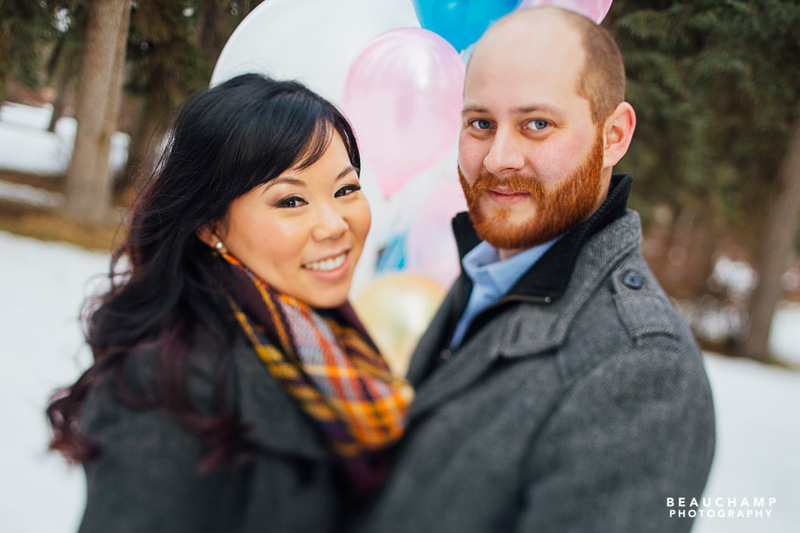 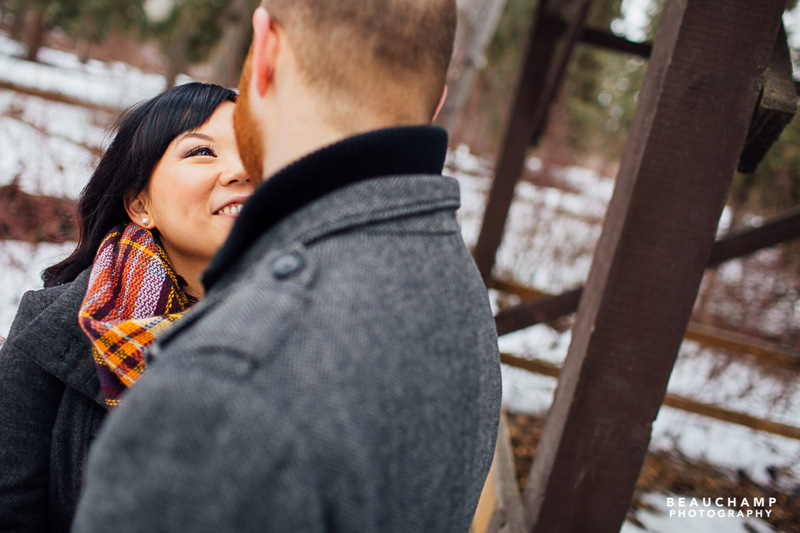 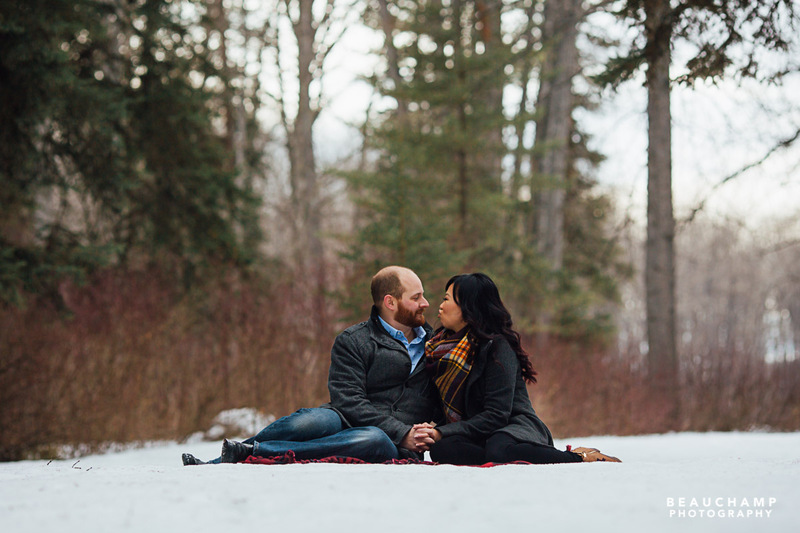 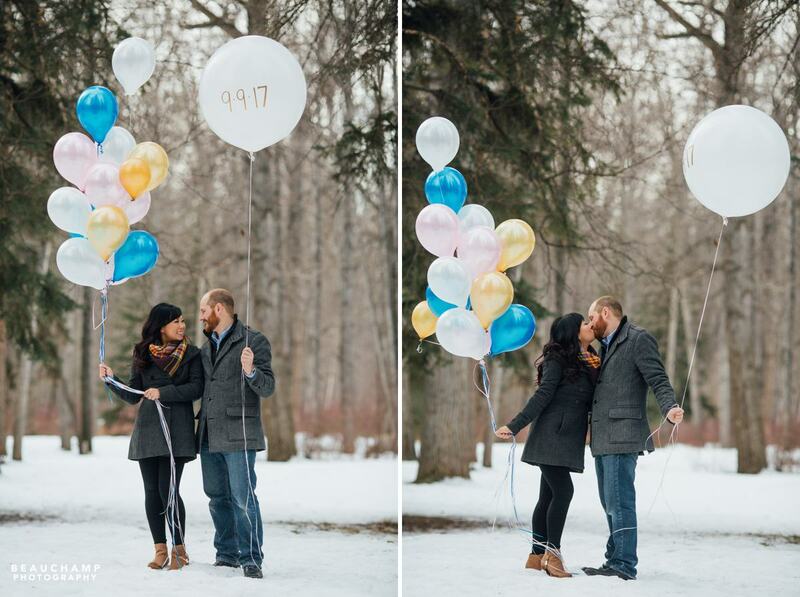 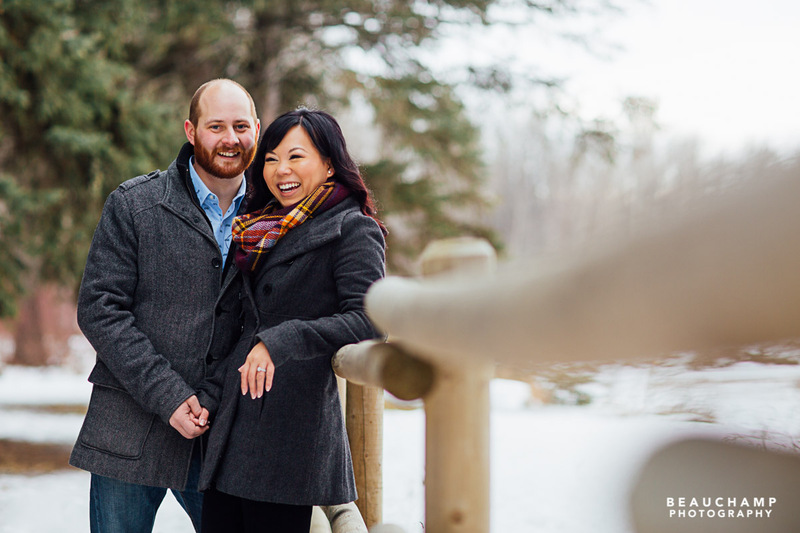 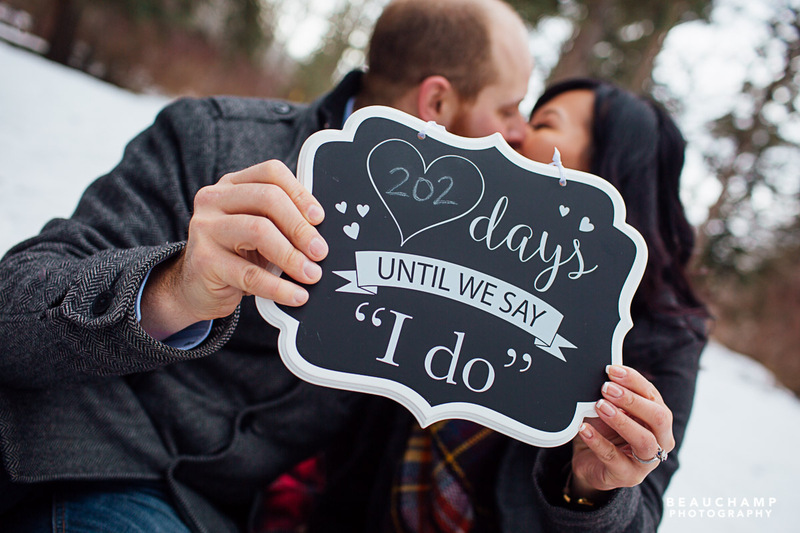 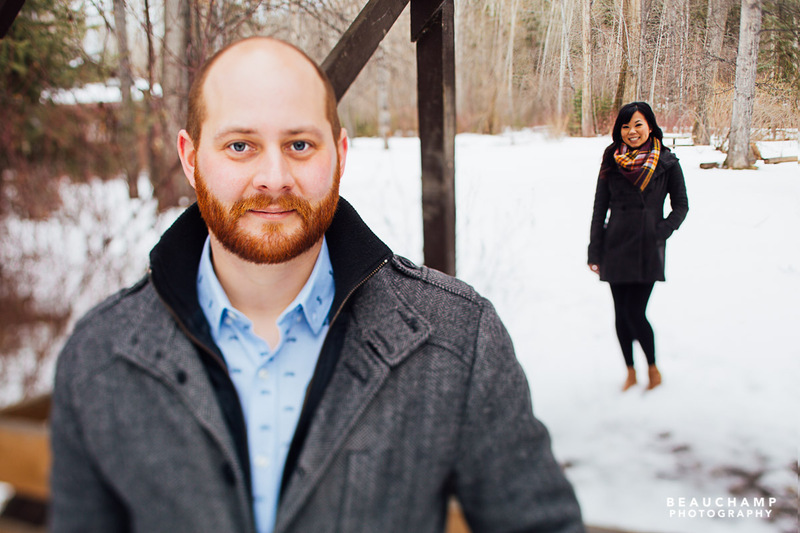 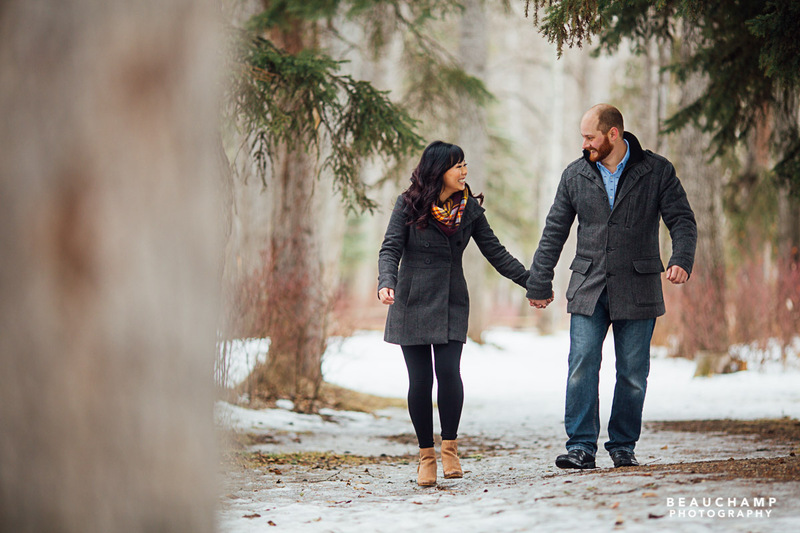 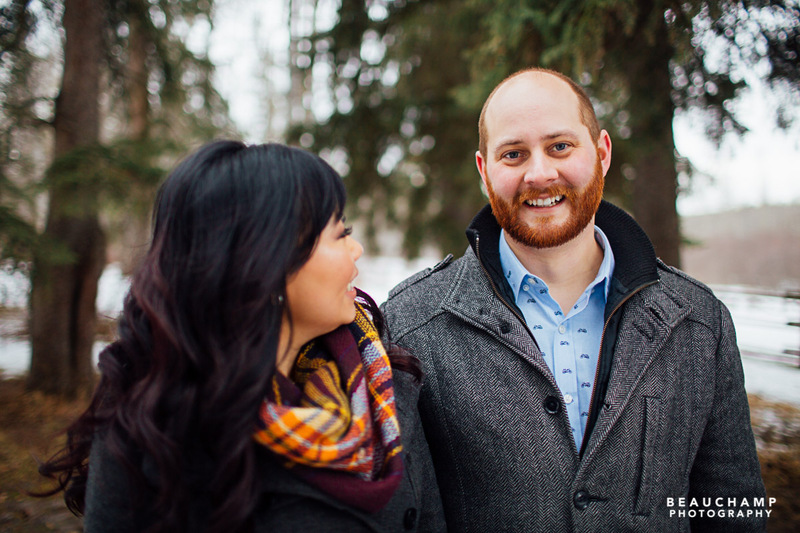 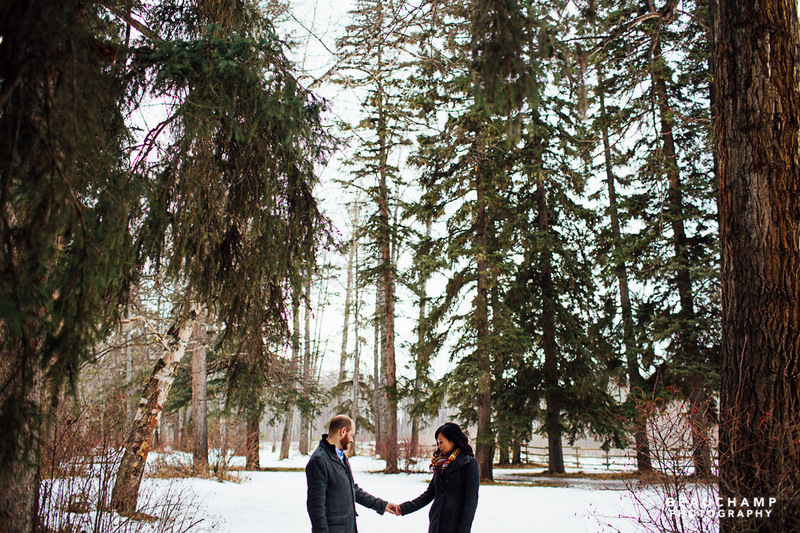 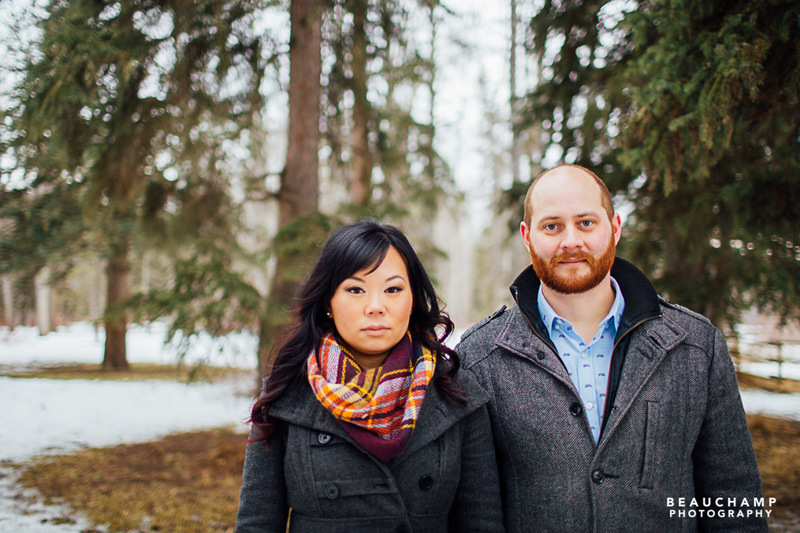 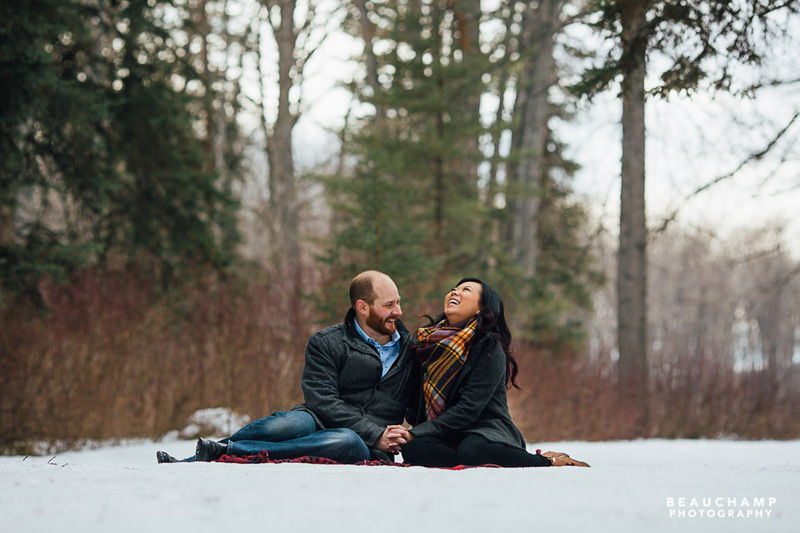 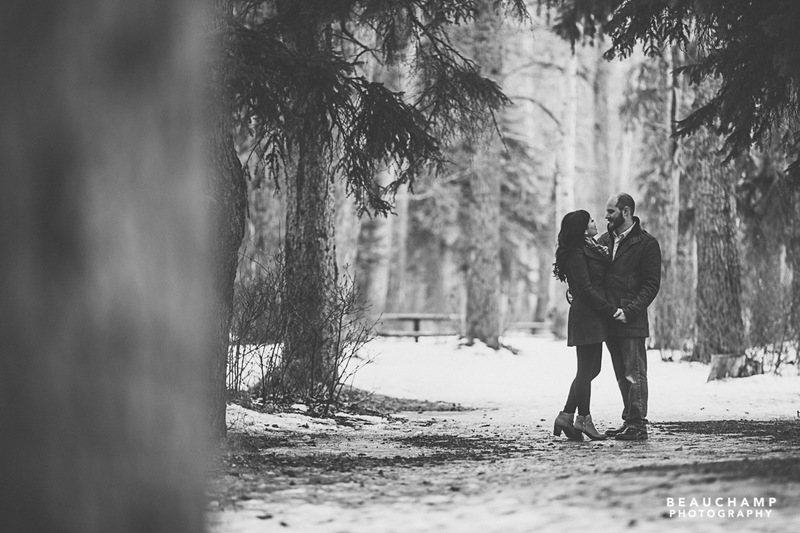 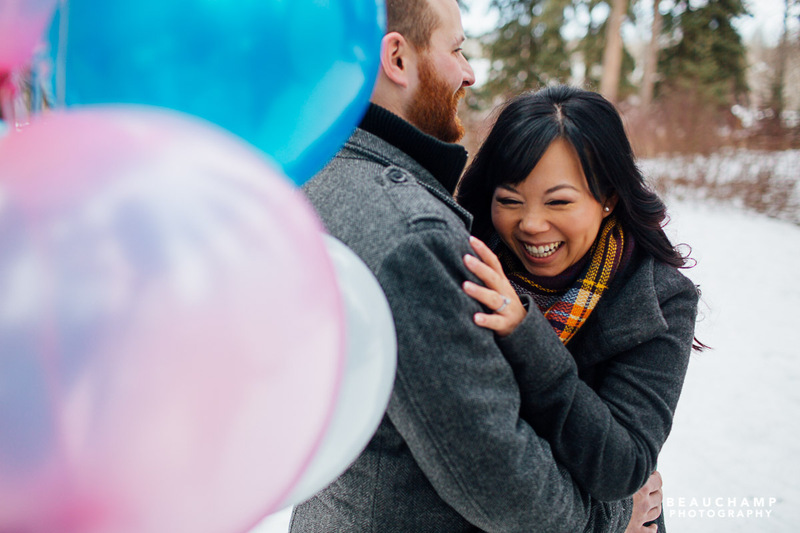 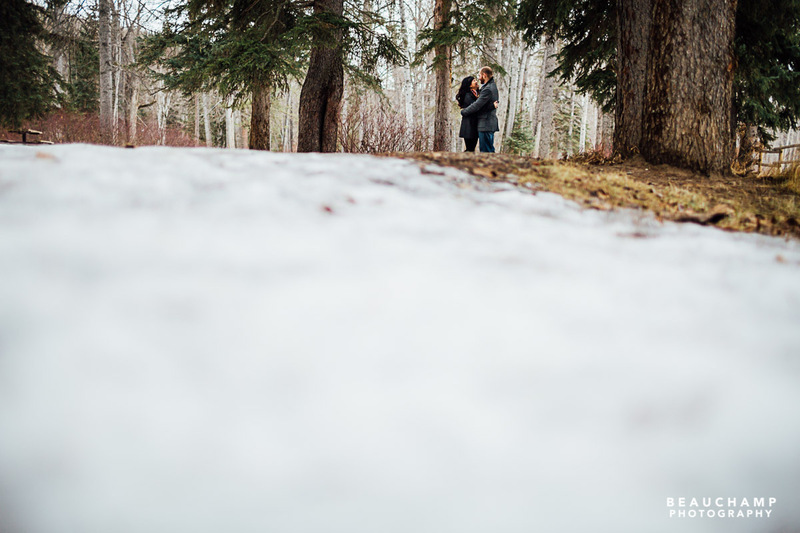 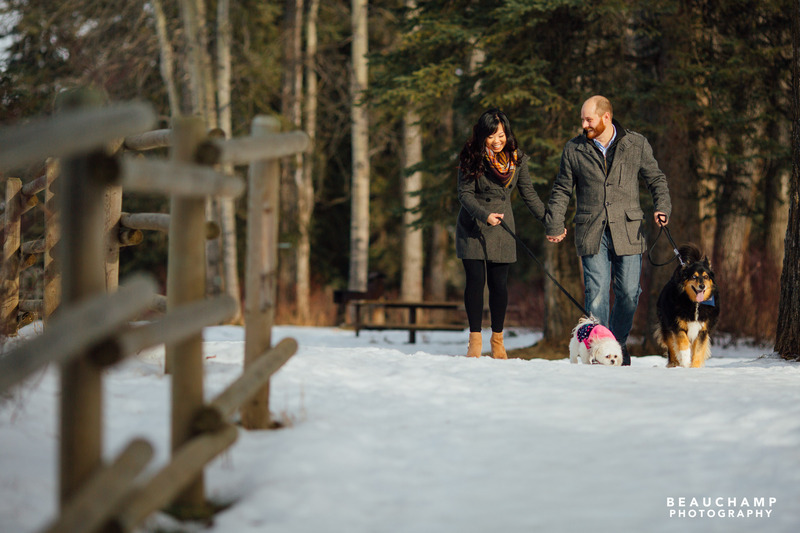 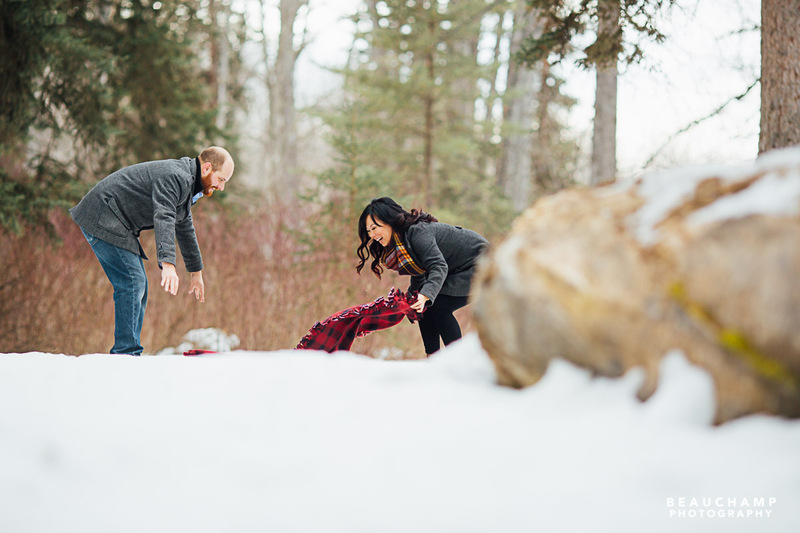 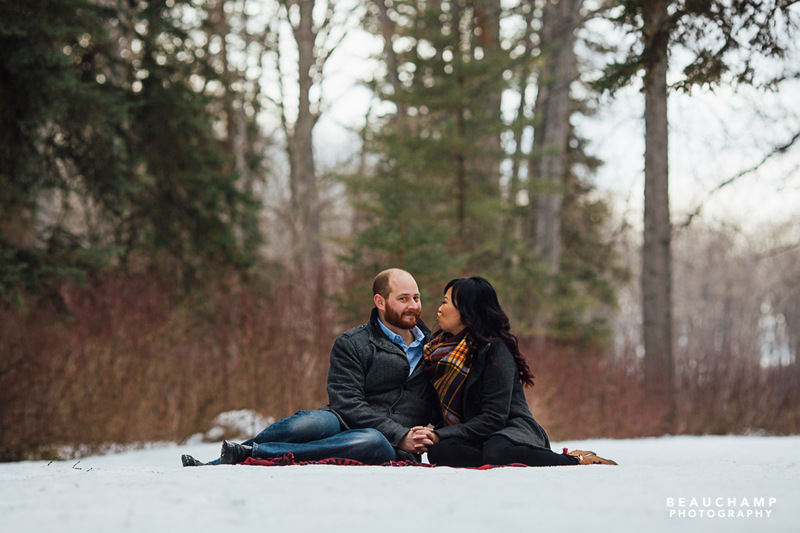 To capture their engagement, we met Teresa and Dan on a warm winter day last weekend, at O’Brien Provincial Park just south of Grande Prairie, Alberta. 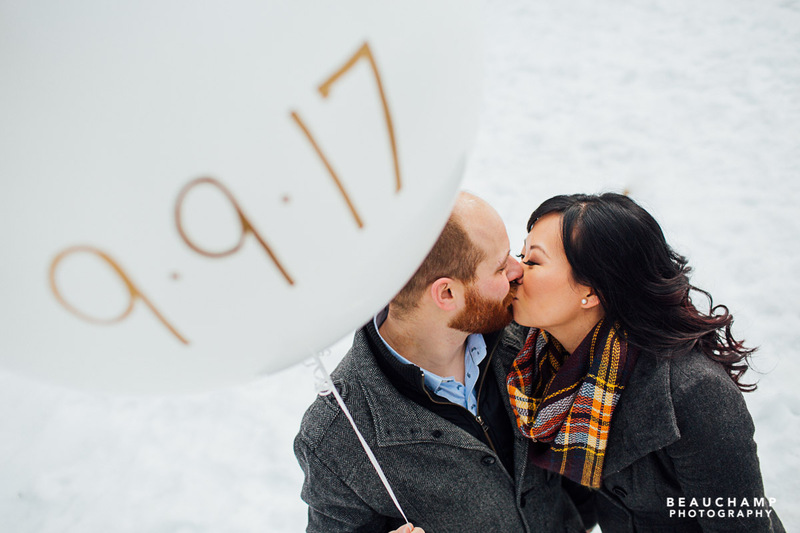 They brought some props, which we had fun with, including balloons, a blanket and a sign. 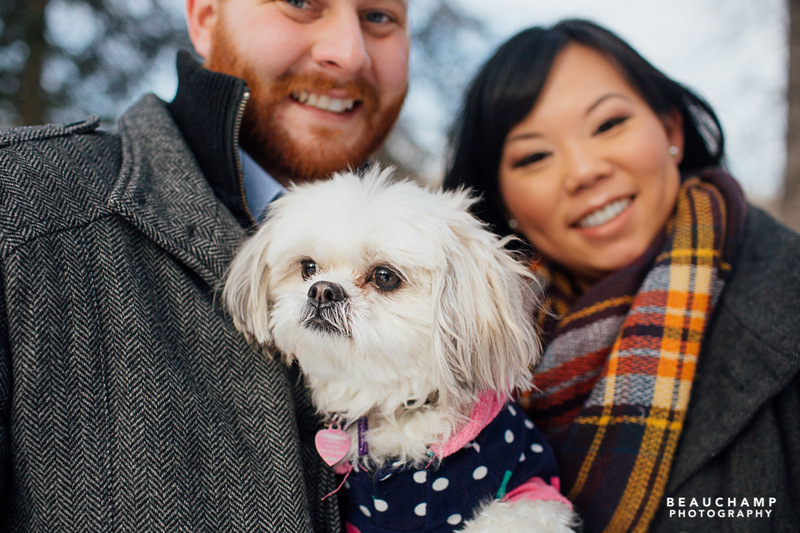 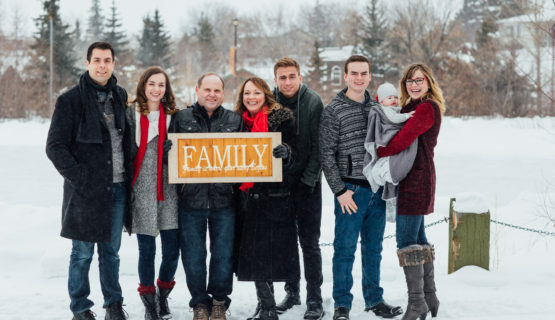 They also brought the other members of their family, their two dogs. 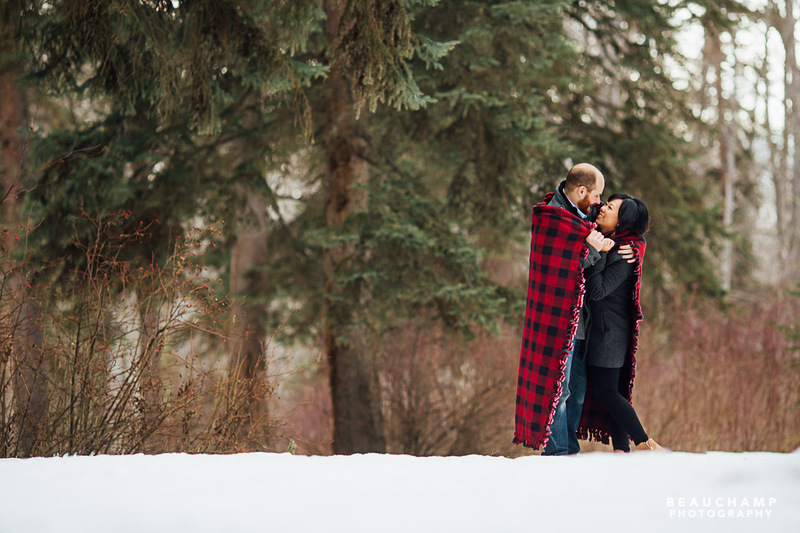 Hope you enjoy the images! 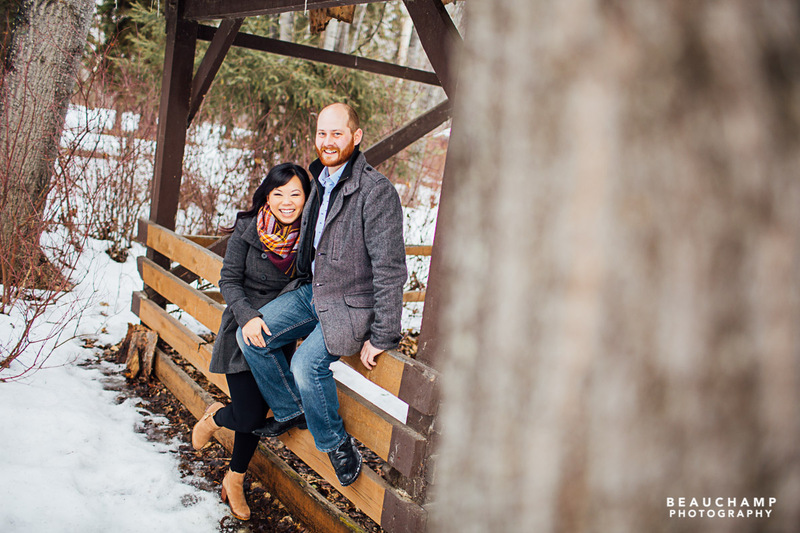 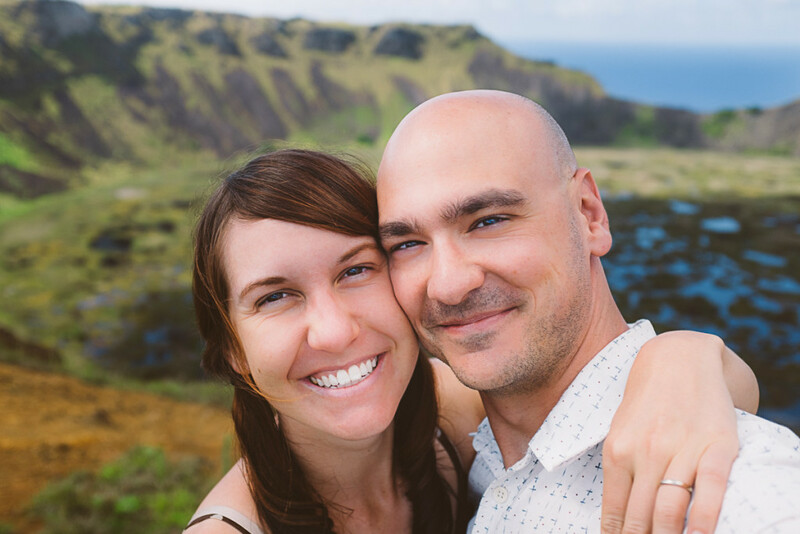 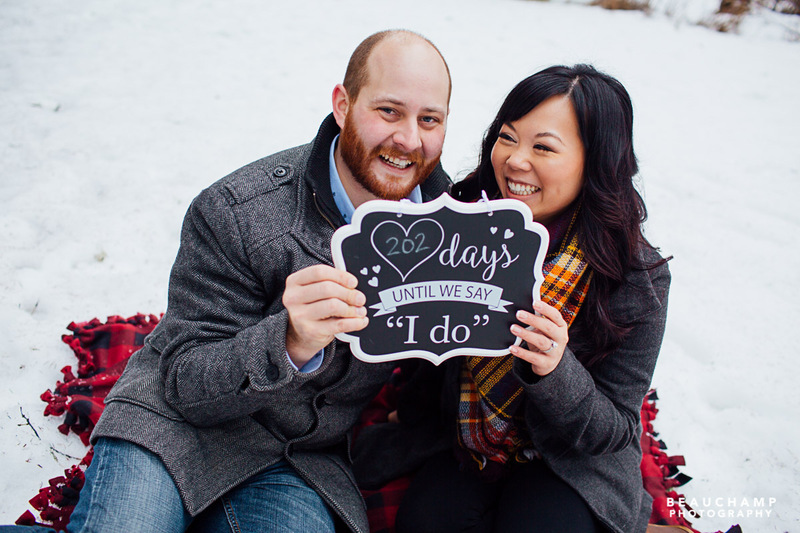 We look forward to your wedding Teresa and Dan!